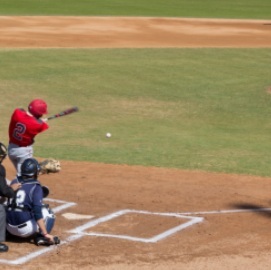 A pitch is more than just a few numbers such as velocity or spin. It's the combination of many numbers. PitchGrader is an app and service that helps you understand and apply your ball tracking data. 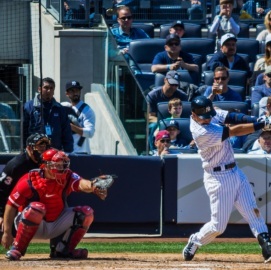 Used by the Top D1 baseball teams, MLB and MiLB teams, PitchGrader provides unique insights into the flight path of pitched and batted balls. It helps you develop and scout better and faster in a uniuqe easy to use portable format. Viewing the pitch or batted ball path in 3D allows for faster and more targeted results without getting overwhelmed with data numbers. 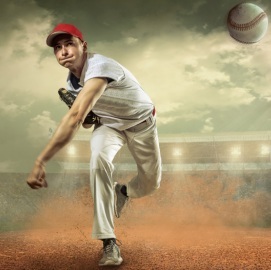 Whether you're trying to get a pitcher back to a previous performance level for particular pitch, help a pitcher develop a particular reference pitch, or analyze real game results, you'll now make measurable strides towards your goals with specific cues of exactly what needs to change. This will allow the development process to take less time. All charts and graphs in PitchGrader are geared towards a purpose, not just simply showing numbers. If you want detailed stats, PitchGrader provides them, but also provides them in a way that lets you get a general sense of the results without having to dig into details if you don't want to. Review all charts, graphs, stats, 3D, and more with coaches or players wherever you are. 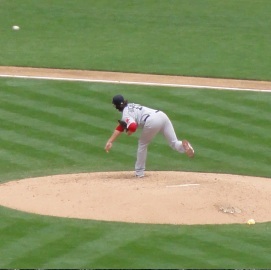 Easily review pitching and batting information for instruction or planning. Reports can even be sent via text message to player's phones with ease. Take full advantage of your technology and gain an edge. A picture is worth a thousand words: 3D Analytics. 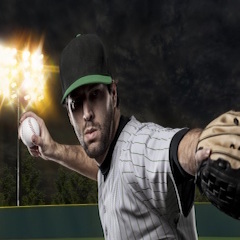 In addition to advanced patent pending 3D pitch analysis, PitchGrader has extensive stats and charts for game, pitching, hitting, and bullpen data. Data itself isn't very useful unless it can be shown in a way that provides insights to either help win games or help with Pitcher or Batter development. This is where Pitchgrader comes in. It allows you to get the maximum benefit from your data. Staring at a data file can be daunting, and extremely difficult to gain actionable insights. Sure, it's easy to see velocity, spin, exit speed, and other measurements and understand them. But a pitch or a plate appearance are much more than simply velocity, spin, and exit speed. To truly utlize the power of this data it needs to be shown in ways that allow all of the data to used, and in ways that reveal the interaction of all of these measurements. PitchGrader solves this problem, and goes even further with our patent pending 3D pitch analysis and pitch grading. You're no longer tied to looking at tables of numbers trying to figure out how they're going to help you make a player better, or win more games. PitchGrader allows you to see in 3D from any angle : pitches, pitch tunnels, batted balls, and plate appearances, and also provides charts, graphs, heat maps. After extensive research and development, we've filed a US Patent for PitchGrader's methods and processes for advanced baseball pitch analysis, grading, and evaluation. Coaches and players on our beta testing teams are thrilled to see PitchGrader for the first time. Prior to applying for our US Patent, PitchGrader was kept under wraps. The response to seeing PitchGrader has been outstanding. In Septemember, PitchGrader will accept 5 more beta testing teams. Early adopting beta testing teams receive ongoing advance developments for PitchGrader prior to our open signup application period. Top 25 College division 1 baseball teams Dallas Baptist University and Vanderbilt University begin using PitchGrader for Fall practices and scrimmages, giving them unmatched statistical and 3D analysis of their Trackman data for player development. 2016 College division 1 baseball national champions Coastal Carolina begin using PitchGrader, giving them unmatched statistical and 3D analysis of their Trackman data for player development and game analysis. Universty of Iowa, and Arkansas Razerbacks with legendrary pitching coach Wes Johnson begin using PitchGrader, giving them unmatched statistical and 3D analysis of their Trackman data for player development and game analysis. Duke University baseball uses Pitchgrader for first time for player development, scouting and game analysis. Clemson University baseball uses Pitchgrader for first time for player development, scouting and game analysis. Dallas Baptist University baseball prepares for its second season using Pitchgrader for player development, scouting and game analysis. University of Iowa baseball prepares for its second season using Pitchgrader for player development, scouting and game analysis.